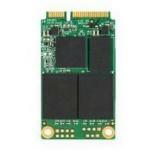 Transcend MSA370 mSATA 16GB Expert Reviews - Read Reviews and Buy Smarter Online. Verdict: I purchased this to replace the failing hard drive in my iPod classic. Yes i'm an old man in music terms. This was used in conjunction with a small circuit board that attaches to the connectors already in the iPod. Works great and has upped the capacity of my iPod. Verdict: Got this for my X220 to add an additional boot drive to install Mac OSX. So far it's been working well and I have no complaints. Verdict: Bought this for my Drobo5N. As soon as I installed it, my Drobo recognized it and put it into use. I'm still in the process of setting up my Drobo5N, so I can't evaluate if this extra memory actually provides better speeds. I expect that it will.